This week there's been a number of stories worth highlighting regarding your civil liberties. On Monday, the U.S. Court of Appeals for the Second Circuit ruled the administration must disclose the legal rationale behind the targeted killing program that has resulted in the deaths of several Americans, most famously Anwar al-Awlaki and Samir Khan, a Pakistani American writer who was in the company of al-Awlaki when the administration ordered a drone strike in Yemen. Just two weeks later, a drone strike killed al-Awlaki's 16-year-old son, Abdulrahman al-Awlaki while he was in Yemen, attempting to look for his father. The administration has publicly claimed Abdulrahman was not the target of the strike. This decision came about as a result of lawsuits filed under the Freedom of Information Act from the ACLU and the New York Times. The next day, both the New York Times and the LA Times published pieces from their editorial boards calling on the administration to not appeal the decision and instead immediately release the documents to begin the national discussion the administration has publicly claimed it wants to have over the balance between liberty and security. 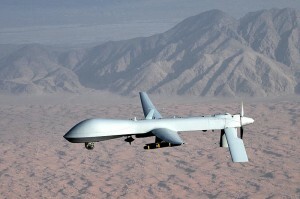 The court found that because high ranking officials have publicly discussed the existence of the targeted killing program, and in February 2013, the DOJ released a 16-page white paper defending the program, the administration waved any "states secrets privilege" that might have prevented them from having to disclose their legal reasoning. Unfortunately, the administration will likely appeal the ruling rather than publicly disclose their legal rationale behind their decision to unilaterally order and carry out the execution of American citizens in a country with which we are not at war. If the administration does comply, it'll be interesting to see what sort of intellectual contortions the administrations' legal advisers were performing to allow the administration to claim the authority to act as judge, jury, and executioner of American citizens. While we're discussing the courts -- it's worth noting comments made by Justice Scalia last week, where he defended TSA groping and NSA snooping as not "unreasonable" given the "threat" the government is trying to protect us from. As if we needed anymore reason after the ObamaCare ruling to distrust that the Supreme Court would help Americans defend their rights, this shows the danger of simply relying on the courts, rather than the legislature, to preserve and uphold our constitutional rights. Yesterday, Radley Balko, author of Rise of the Warrior Cop: The Militarization of America's Police Forces, wrote an article reflecting on the police response to the Boston Marathon bombing. It's an important read, because as Balko notes, "there’s an important component missing from all the reports, testimony and lesson-learning: an assessment of whether the government response after the bombing was appropriate, democratic and consistent with the principles of a free society." 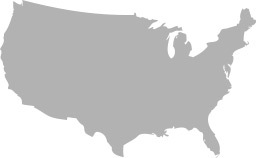 As the Atlantic reported last year, we haven’t seen a lockdown and an occupation of an American city on the scale of what happened in Boston after the marathon since the Watts riots — not in Oklahoma City after the Murrah Federal Building bombing in 1995, not in Atlanta after the 1996 bombing in Centennial Olympic Park, not in D.C. during the 2002 sniper attacks, not after a series of pipe bombs went off in federal courthouse in San Diego in 2008, not during the dozens of instances in which a mass killer or serial killer was still at large. In Boston, 19,000 National Guard troops moved into an American city, not to put down a civil uprising, quell riots or dispel an insurrection, but to search for a single man. Armored vehicles motored up and down residential neighborhoods. Innocent people were confronted in their homes at gunpoint or had guns pointed at them for merely peering through the curtains of their own windows. 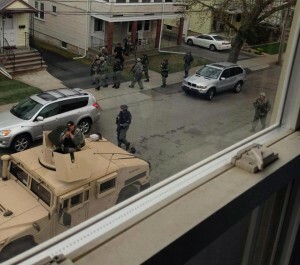 In the end, Dzhokhar Tsarnaev wasn’t found by Guardsmen, a commando team or a police officer in an armored vehicle. After the shelter in place had been lifted, he was spotted by a resident of Watertown who saw something unusual in his back yard and called the police. Only then did SWAT teams respond to apprehend the suspected bomber. (More on that later.) For such a massive show of force, the fugitive was captured in a pretty conventional manner. Will Boston become the norm, or the exception? It's an important question, and one that determines whether we remain a free society, or drift into an authoritarian one. As Patrick Henry said at Virginia's ratifying convention in 1788, "Guard with jealous attention the public liberty. Suspect every one who approaches that jewel."